"ANTHONY WEBB SINGS DON OTTAVIO, DONNA ANNA'S FIANCE. HIS IS A LOVELY TENOR VOICE INDEED, AND IN ONE ARIA HE SHOWS QUITE ASTONISHING BREATH CONTROL IN A LONG, LONG CRESCENDO DECORATED WITH A FINAL CLASSICAL FLOURISH." "OTTAVIO IS PLAYED BY ANTHONY WEBB, A FANTASTIC SINGER AND STAGE PERFORMER WHO RADIATES A CERTAIN JUSTICARII DOMINI, CARRYING A FULL HEART AND A QUICK SWORD." "THE TENORS NEARLY STOLE THE SHOW. ANTHONY WEBB SHOWED FINE COMIC FLAIR AND A WELL-SCHOOLED VOICE AS THE IRISH–ITALIAN HUCKSTER PIRELLI." "OTSL FIELDED A CARNIVAL OF TENOR TALENT: LYRICAL NATHANIEL HACKMANN AS THE SAILOR ANTHONY; SCOTT RAMSAY, A SMARMY BEADLE BAMFORD; ANTHONY WEBB, HIGH-FLYING AS PIRELLI." IF OPERA THEATRE [OF ST. LOUIS] EVER DECIDES TO CREATE THEIR OWN VERSION OF THE THREE TENORS, THEY HAVE A TRIO OF WINNERS IN THIS CAST ... ANTHONY WEBB HAS THE SAME STRATOSPHERIC REACH AS TODD’S SHORT-LIVED RIVAL, SIGNOR PIRELLI." "ALSO CONTRIBUTING ARE TIMOTHY NOLEN, WHOSE DEEP, ECHOING BASS-BARITONE ADDS A SINISTER FLAIR TO THE HYPOCRITICAL JUDGE TURPIN; TENOR SCOTT RAMSAY AS THE OAFISH BEADLE BRAMFORD; AND GERDINE YOUNG ARTIST ANTHONY WEBB, WHOSE PURE TENOR BRINGS COMIC PRESENCE TO THE ROLE OF SCHEMING CON MAN SIGNOR PIRELLI." "ANTHONY WRIGHT WEBB'S MITCH WAS BEAUTIFULLY DRAWN AND SUNG ... HE OFFERED BOTH A LOVELY, LYRIC TENOR AND BELEIVABLE HEARTBREAK." 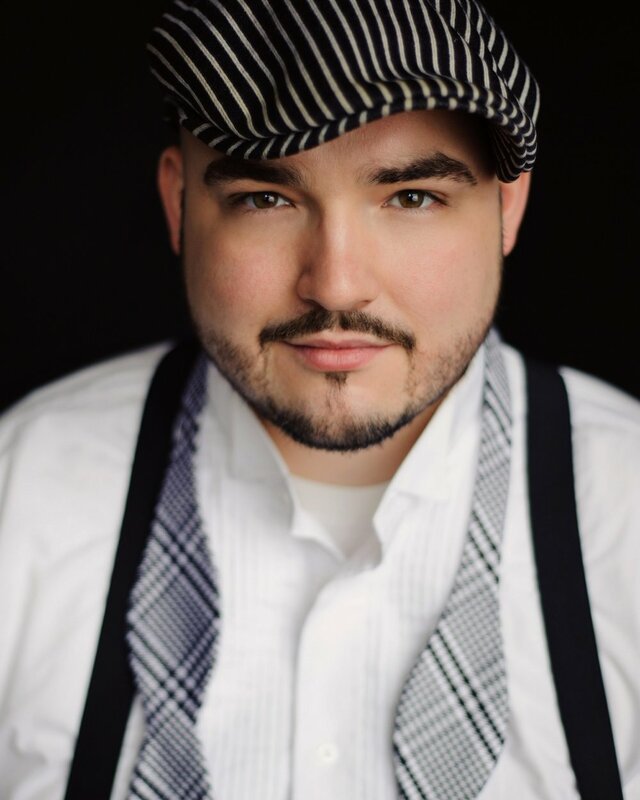 "TENOR ANTHONY WRIGHT WEBB MAKES MITCH A LOVELY, DECENT MAN. HIS PURE AND SMOOTH VOICE PERFECTLY CONVEYS MITCH'S SHY GENTLENESS"
"ANTHONY WRIGHT WEBB IS PARTICULARLY NOTEWORTHY AS THE SHY, RESPECTFUL MITCH ... HIS SINGING IS TENDER AND HEARTFELT, MAKING MITCH IN SOME WAYS THE MOST AFFECTED CHARACTER OF ALL." "IN THE ROLE OF A SWAN BEING ROASTED FOR A FEAST, TENOR ANTHONY WEBB WAS BRILLIANT, POSSESSING A RINGING, FULL-BODIED VOICE THAT RETAINED ITS POWER AND RESONANCE, EVEN DURING THE STRATOSPHERIC HIGH NOTES." 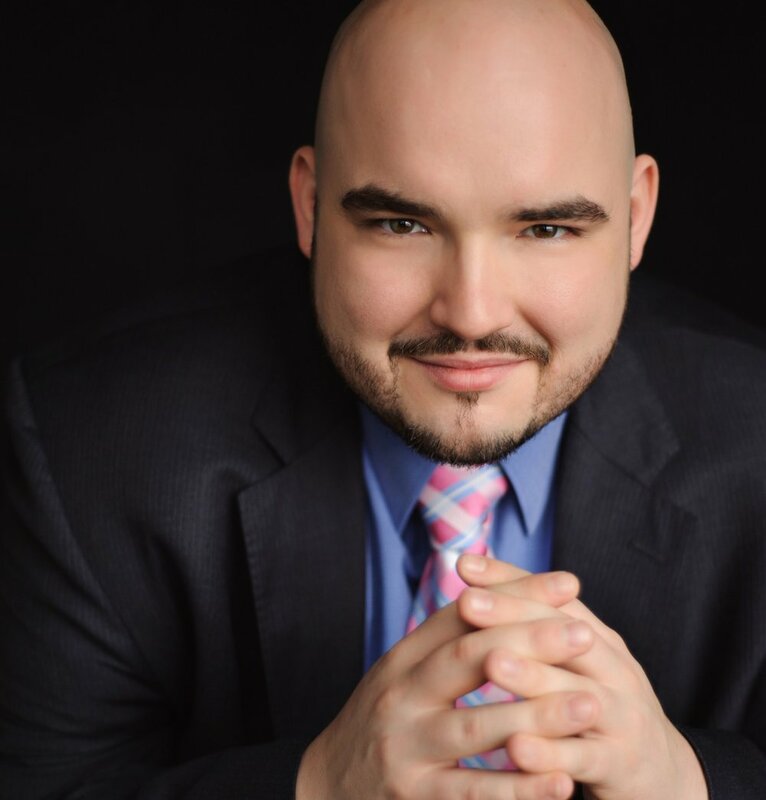 "THE TENOR GETS ONLY ONE ARIA IN "CARMINA BURANA," BUT IT'S A KILLER ... ANTHONY WEBB, IN A LITERAL WALK-ON ROLE, HANDLED THIS SMASHINGLY, HITTING EVERY NOTE SPOT-ON, AND INTERPRETING WITH A WELCOME, MACABRE SENSE OF HUMOR."